AuditionInside is driven by the users! Employers who are looking for new artists post auditions and/or submission notices on our website. Then you, our member artists, can navigate through the notices by using specific search criteria (genre & state). You may also look at all the audition notices in one state by selecting only a state. Or, select only a genre and view all the audition notices across the United States. Once you have found a notice that fits you, copy down the audition information or submit your material! You must know your user name or your email address to submit for a password reset. Click here to reset your password. How do I edit my profile/payment information? Once you have logged in to our website, click on your profile name at the top right hand corner of the page. Then select “Edit my profile.” Here you will be able to upload pictures, edit your member preferences, and make changes to your payment information. How do I know the jobs listed on this website are authentic? AuditionInside goes above and beyond to make sure that every job opportunity posted on this website is authentic. Every employer is contacted directly before the job post is allowed. However, sometimes we cannot catch everything. If you suspect foul play, please contact us at support@auditioninside.com. Every measure will be taken to eliminate false or non-existent notices. Are the auditions posted paid or un-paid opportunities? AuditionInside.com includes paid and un-paid auditions/submissions. We are firm believers that some of the best experience is gained out of community and regional productions, which are normally un-paid jobs. We ask all of our employers to indicate whether their submission is paid or not. So, make sure to read the entire listing for all of the details before you submit. What does the future hold for AuditionInside? AuditionInside would like to continually be your #1 resource for finding new job opportunities! With this said, our future plans will allow you to create your own member space on our website, giving employers the options to find you as well! Once you have logged in to our website, click on “membership details” right below the audition search in the right column. Here you will have an option to “unsubscribe” your account. 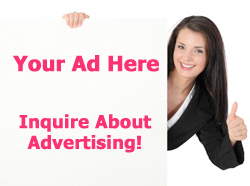 You may click on any link that says “Advertise with us!” Or, follow the link here for advertising information. You may reach us at support@auditioninside.com for all inquiries.